We also help the sell through process by supplying similar collateral to their distribution chain and UK showrooms. The all-important link to the brand and the retailers. 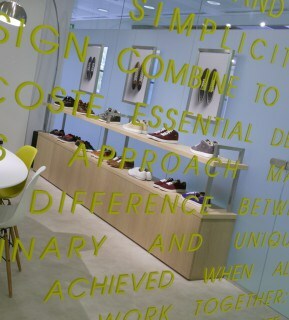 We helped Lacoste launch 7 branded showrooms to aid retailer buy in and range display. 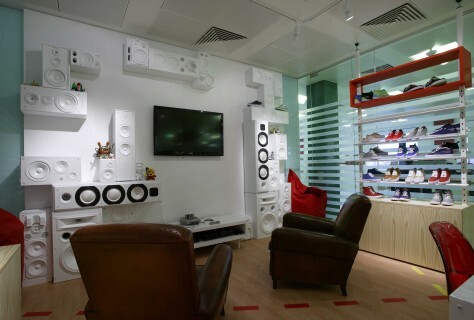 Our broad range of skills have been utilised to design, develop and install 7 high profile showrooms for Lacoste here in the UK, along with supplying a fully updateable wall bay footwear display system for their main retail accounts.